Police are continuing to appeal to the public for sightings of a vehicle of interest in Operation Epopeus, the investigation into the death of Shannon Shelby Baker in Sandringham. 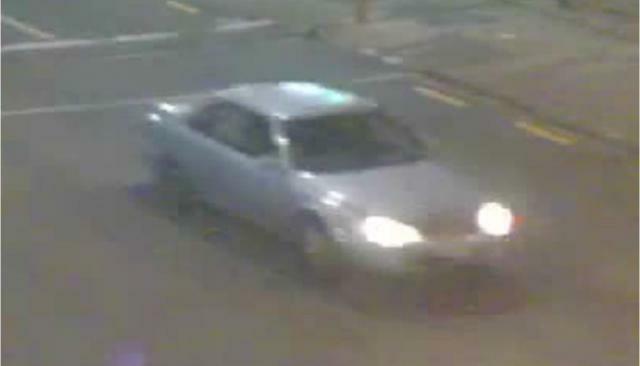 Police have released a CCTV image of a light blue, late 1990’s Toyota Camry sedan which is believed to have a missing right rear hub cap which was seen in the Sandringham area around the time of his death in the early hours of Tuesday 11 December, 2018. The vehicle is believed to be connected to the homicide investigation and Police urge anyone who saw the vehicle in the days before or after 11 December to contact Police. Police have previously confirmed that the investigation team are also looking into two prior incidents at Mr Baker’s Calgary Street address earlier in December, which are believed to be connected to his death. Police enquiries have discovered that Mr Baker was targeted and threatened by two male offenders at his address on Sunday 2 December, with at least one of the offenders returning on Thursday 6 December. Detective Inspector Aaron Pascoe says Police believe that at least one of the offenders present on these earlier occasions was a King Cobra gang member. “Our enquiries are ongoing into these two incidents and we want to hear from local residents who saw any suspicious activity on any of these dates,” says Detective Inspector Pascoe. Police continue to provide support for the family of Mr Baker, who are requesting privacy. A spokesperson for Mr Baker’s family says they are all horrified at what has happened to him. “His death has put all of our lives in limbo as we wait for answers on how and why this happened. Anyone with any information is asked to contact Police by phoning 0800 EPOPEUS (0800 376 7387) or email OpEPOPEUS@police.govt.nz.